CHAMPAIGN, Ill. — Fourteen University of Illinois at Urbana-Champaign students and young alumni have been offered student Fulbright grants to pursue international educational, research and teaching experiences this coming year throughout Eastern and Western Europe, Latin America, Asia and the Middle East. Maura Benson, of Mount Prospect, Illinois, will participate in the program this fall as an English teaching assistant in Mexico. A graduate of Prospect High School, Benson in May 2016 earned a B.A. in Spanish with a chemistry minor as a James Scholar in the College of Liberal Arts and Sciences. At Illinois, Benson was an active mentor in the Big Brothers Big Sisters program and also served as the president of the Illinois women’s club basketball team. She is currently serving with the Jesuit Volunteer Corps at the Workers Defense Project in Austin, Texas, where she advocates for the rights of immigrant workers in the construction industry. Long-term, Benson plans to practice nursing and eventually teach future nursing students at the university level while researching ways to remove health care barriers for low-income immigrants. 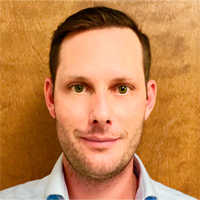 Matthew Haugen, of Austin, Texas, and a graduate of S.F. Austin High School, has been awarded a Fulbright grant to conduct dissertation research in China. After receiving a B.A. from Kenyon College in Gambier, Ohio, he moved to Guangdong to help a friend start a tennis academy. Haugen returned to the U.S. to complete an M.A. in physical education pedagogy at Boise State University, then spent two years as the head tennis coach for the Hebei Provincial Sports Bureau in Shijiazhuang, China. Now a doctoral student in kinesiology at Illinois, his interests center on how market reforms in China are generating new initiatives in both sports and education. His project will explore the causes and consequences of these developments, focusing specifically on the emerging notion of the student-athlete. Alongside his studies, he will offer free tennis clinics in low-income rural areas. Haugen is pursuing an academic career. 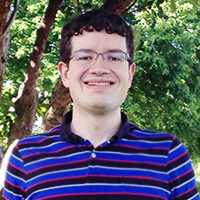 Marco Jaimes, of Westmont, Illinois, has been offered a Fulbright grant to further his dissertation research in the Czech Republic. A graduate of Downers Grove North High School, he earned a B.A. in history and political science from the University of Chicago. 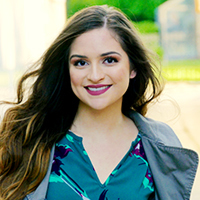 Jaimes studied abroad in Vienna as an undergraduate and, following graduation, worked as an English teacher through the InterExchange program in Germany. As a Ph.D. student of history at Illinois, Jaimes’ study of Czech has been supported through several U.S. Department of Education FLAS awards. He is also conversant in German and Spanish. In the Czech Republic, Jaimes will spend his year conducting archival research on the relationship between Franz Joseph and his subjects in the Bohemian Crownlands. 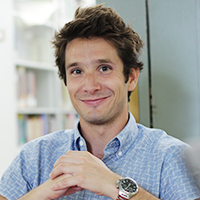 Beyond his research, Jaimes looks forward to interacting with his host community through joining gaming, fitness, and comic book-reading groups in Prague. Jaimes is pursuing a career as a faculty member in history. Matt Klopfenstein, of Osceola, Indiana, has been awarded a Fulbright grant to conduct research for his dissertation in Russia. A graduate of Penn High School, he received a B.A. in history and philosophy from Bethel College in Mishawaka, Indiana, which included a semester abroad in St. Petersburg, Russia. He then taught history for four years at the International Academy in St. Petersburg before enrolling in a Ph.D. program at Illinois. Klopfenstein received two FLAS awards to continue his study of Russian. His doctoral project examines the deaths and funerals of celebrity performers in late imperial Russia and the early Soviet Union, and their coverage across a variety of media forms. In addition to carrying out archival work in Moscow and St. Petersburg, he plans to become part of a Russian church community and volunteer as an English tutor. His long-term goal is to become a professor of Russian history. 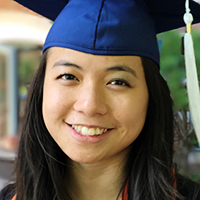 Elizabeth Matsushita, of Cupertino, California, has been offered a Fulbright grant to carry out dissertation research in Morocco in the coming year. A graduate of Monta Vista High School, she received a B.A. in music from the University of California, Davis and an M.A. in history from San Francisco State University. 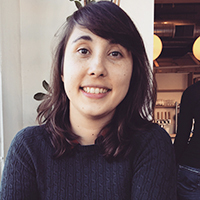 Matsushita has studied both Arabic and French, and is integrating her musical training with her study of cultural history. Her continued study of Arabic has been supported through several FLAS awards. Matsushita’s project in Morocco examines musical encounters and the construction of modernity, identity, nationalism, race and ethnicity during the colonial period. She will investigate the development of musicology and ethnomusicology in French and North African institutions. While in Morocco, she intends to participate in musical ensembles and events. Upon completing her Ph.D., she plans to pursue a university career. Thornton Miller, of Springfield, Missouri, and a graduate of Parkview High School, has been awarded a Fulbright grant to conduct research for his musicology dissertation in Moscow and St. Petersburg, Russia. He received a B.A. in cello performance from the University of Missouri, Columbia and earned two master’s degrees from the University of Houston, in cello performance and musicology. Miller has studied Russian extensively with the support of FLAS awards. He was a recipient of the Cultures of Law in Global Contexts Fellowship offered through the Graduate College. Miller will continue archival research on the role and influence of musical professionals – such as composers, impresarios, performers and publishers – on Anglo-Soviet cultural exchange during the early Cold War. He will also teach a bi-weekly English class at the Dmitri Shostakovich School in St. Petersburg, which specializes in the education of young artists in music, theatre and ballet. He anticipates a professorial career as a musicologist. 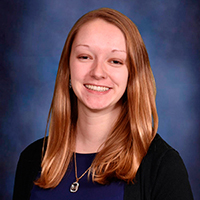 Brittney Nadler, of South Elgin, Illinois, and a graduate of South Elgin High School, will be embarking on an English teaching assistantship to Thailand. A May 2017 B.A. 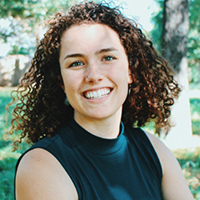 recipient with James Scholar Honors and majors in global studies and Spanish, Nadler will spend 12 months assisting local instructors in Thailand in teaching elementary or high school students. She previously taught English in rural Panama, served as a tutor at the East Central Illinois Refugee Mutual Assistance Center, and was employed as a youth staff intern with Carnival Cruise Line, where she befriended fellow employees from Thailand. Nadler also worked for three semesters as a production analyst at the campus Cline Center for Democracy. Her future goals include working for UNICEF or another branch of the United Nations on international education projects and combating human rights abuses. David Rodgers, of Chicago, and a graduate of Whitney M. Young Magnet High School, has been offered a Fulbright grant to teach English in Morocco. He will be placed as an instructor at a public university for 10 months. Rodgers in May 2015 earned a B.A. in English with a concentration in secondary education as a James Scholar. After his junior year, Rodgers visited Morocco for two weeks as a research assistant to Illinois professor Mark Dressman, reviewing semiotic theory and its application as a literacy tool. Since graduation, Rodgers has been working as an English language arts teacher at Whitney M. Young, where he also coached the debate and mock trial teams. Rodgers hopes to earn a Ph.D. in curriculum and instruction, and to instruct future teachers. Kimberly Sam, of River Forest, Illinois, and a graduate of Oak Park and River Forest High School, has been awarded a Fulbright grant to conduct medical research in Ecuador. Sam’s project seeks to highlight the effects of high altitude on stroke patients and the community, and to explore ways to develop specialized neurocritical units to care for these individuals. A first-generation college student, Sam in May 2017 earned a B.S. in molecular and cellular biology in the honors concentration with minors in chemistry and Spanish. 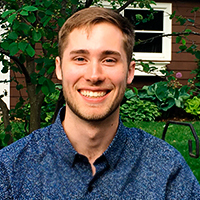 Sam spent two years as a research assistant under Illinois professor Parijat Sengupta studying models of traumatic brain injury in neuronal network models. She was an active member of the Society for the Advancement of Hispanics/Chicanos and Native Americans in Science and worked as a resident adviser for two years with the graduate and upper division residence halls. Upon completing her Fulbright, Sam plans to attend medical school to pursue an M.D./Ph.D. She aspires to work in Chicago’s underserved neighborhoods. 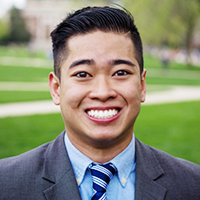 Daniel Santos, of Beach Park, Illinois, and a graduate of Carmel Catholic High School, will be embarking on a Fulbright English teaching assistantship to Malaysia. He will assist local instructors in teaching English and leading other activities, clubs and teams for Malaysian high school students. In particular, Santos hopes to introduce students to entrepreneurship by forming a club that studies startups. 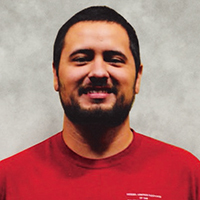 A first-generation college student, Santos earned B.S. degrees in accountancy and management in May 2017 as a James Scholar. He studied abroad for a semester in Sweden and participated in business honors class trips to Malaysia, Singapore and the United Arab Emirates. Santos also served as a vice president of Global Business Brigades, a volunteer consulting organization that led him to Panama to teach financial literacy skills. Upon returning from Malaysia, Santos will work as a consultant for EY (formerly Ernst and Young) in the firm’s fraud investigation and dispute services group. 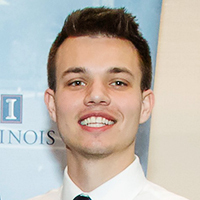 Nathan Stables, of Western Springs, Illinois, and a graduate of Lyons Township High School, has accepted a Fulbright grant to teach English in South Korea. He will live with a host family and teach conversational English to middle school and high school students. Stables graduated in May 2016 with a B.S. in integrative biology with an honors concentration as a Chancellor’s Scholar. Stables presented his ecological research, was published in a literary magazine and performed as part of a campus a cappella group. He also spent a summer interning at the Smithsonian Tropical Research Institute in Panama and studied abroad for a semester in Denmark. Stables’ long-term goal is to pursue a career in international relations as a foreign service officer with the U.S. State Department. 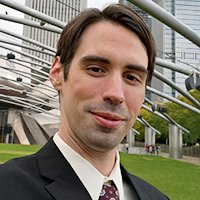 David Stage, of Fulton, Illinois, and a graduate of Fulton High School, has been awarded a Fulbright grant to teach English in Taiwan this fall. He will be placed in Kinmen County, an island of Taiwan located near the coast of mainland China. After beginning his career at Illinois in the Division of General Studies, Stage in May 2017 received a B.A. in history with a secondary school teaching minor. He attended the university with the assistance of an Illinois Promise scholarship. Stage was involved in local theatre and served as a group leader for Campus Crusade for Christ. Stage previously studied in Xian, China, in summer 2016. He plans to pursue a career as a high school teacher in a diverse urban setting. 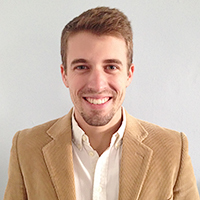 Peter Thompson, of Timonium, Maryland, and a graduate of Dulaney High School, has been offered a Fulbright grant to continue dissertation research in Germany. He earned a B.A. in history and philosophy at Colby College. As part of his studies, he spent a semester abroad in both Ecuador and Austria. Thompson completed an M.A. in modern European history at the University of Maine before enrolling at Illinois in a Ph.D. program in modern European history. His project focuses on the period between the two world wars, and examines the gas mask as both object and symbol in an age which saw the development of modern chemical weapons. His research will take him to archives in Berlin, Freiburg, Munich and Stuttgart. Thompson plans to join a local soccer team during his stay in Germany. After graduation, he intends to pursue an academic teaching career. Alexandra Turcios, of Waukegan, Illinois, and a graduate of Warren Township High School, has been offered a Fulbright grant to teach English to high school students in Indonesia. A first-generation college student, Turcios graduated from Illinois in May 2016 with a B.A. in political science as a James Scholar with Bronze Tablet honors, after transferring from the College of Lake County. At Illinois, Turcios worked as a research assistant at the Cline Center for Democracy and also as a teaching assistant for a physics class. She also co-founded and led the Association of Minorities in Political Science. After graduation, Turcios served as a member of the policy and communications team at the Illinois Office of the Lieutenant Governor. She is currently employed by the College of Lake County working with the federal TRiO program to increase postsecondary enrollment among talented first-generation and low-income high school students. After her Fulbright year, Turcios plans to pursue a Master's in Public Policy, focusing on educational policy to close achievement gaps among marginalized groups such as women and the poor. 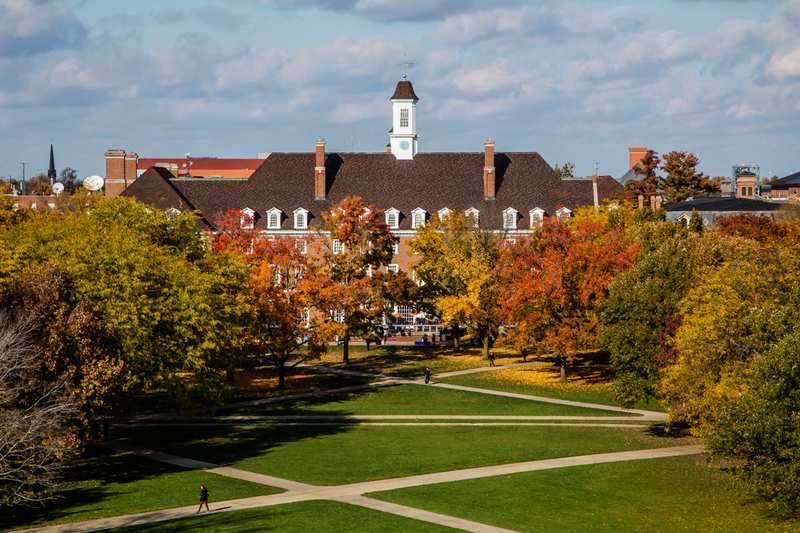 The Fulbright program is administered at Illinois by the National and International Scholarships Program, which works with undergraduates and recent alumni, and the Office of External Fellowships, which assists current graduate students applying for the grant. More than 70 Illinois faculty and staff with geographic and programmatic expertise review student application materials and conduct interviews of candidates. Applications are open for students interested in pursuing studies, fine arts, research or English teaching assistantships under the Fulbright for the 2018-19 academic year. Editor’s note: For more information, contact David Schug, director, National and International Scholarships Program, 217-333-4710, topscholars@illinois.edu.